4 months 1 week ago. 5 months 21 hours ago. Fueled by a unique blend of punk, postmodern, and spectral techniques, Dorothy Hindman’s music sings and screams, breathes and howls, leaving a lasting impression like none other. 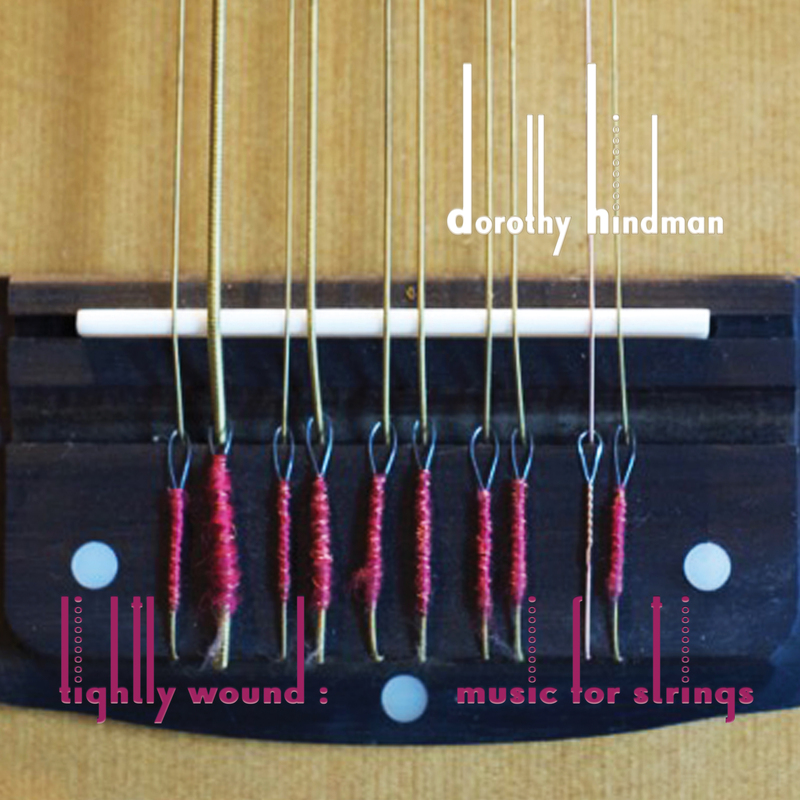 Her second solo release, Tightly Wound, a double album showcasing her music for strings, stakes a solid claim for her position as one of the more fearless voices in chamber music today. Hindman’s works have a raw power — such as Heroic Measures, Taut and Needlepoint, three perspectives on the ravages of cancer, or Setting Century, an elegy on how losing a parent clarifies our own mortality. Other pieces are lighter in substance but no less personal: Time Management on the impossibility of balancing marriage, children and career, Monumenti and centro on the challenges of life, language, and customs in a different country, and Sound|Water on climate change and sea level rise in her native Miami. Over a two-decade span of works, Hindman’s driving rhythms, meticulous development, and sparkling timbral imagination show her commitment to connecting music and life to a thrilling degree. Enter with caution. Tightly Wound features a string of stellar performers, including cellist Craig Hultgren, guitarist Paul Bowman, double bassist Robert Black, PULSE, Corona Guitar Kvartet, Amernet String Quartet, Duo 46, and many more. The album is the winner of a Gold Medal at the 2017 Global Music Awards. DOROTHY HINDMAN’s music has been described as “bright with energy and a lilting lyricism” (New York Classical Review), “dramatic, highly strung” (Fanfare), “varied, utterly rich and sung with purpose and heart” (Huffington Post), “powerful and skillfully conceived” (The Miami Herald), “music of terrific romantic gesture” (The Buffalo News) and “one of the hopes of the present chamber music” (Kulturni Magazin UNI). She is Associate Professor of Composition at the Frost School of Music, University of Miami, Florida.